An OEM replacement head gasket for your 2003 Ford 6.0L Powerstroke with a build date before 09/30/2003. A quantity of 2 is required to complete one engine. An OEM replacement head gasket for your 2003-2006 Ford 6.0L Powerstroke with a build date betweem 09/30/2003 - 01/11/2006. A quantity of 2 is required to complete one engine. An OEM replacement head gasket for your 2006-2007 Ford 6.0L Powerstroke with a build date AFTER 01/12/2006. A quantity of 2 is required to complete one engine. 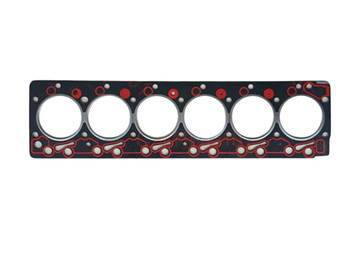 An OEM replacement head gasket for your 2008 - 2010 Ford 6.4L Powerstroke. A quantity of 2 is required to complete one engine. A quantity of 2 is required to complete one engine. 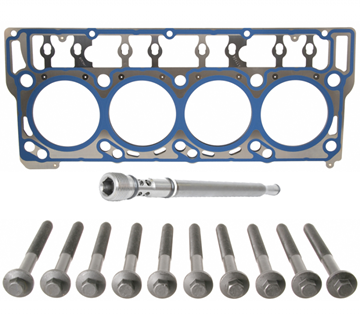 This Cummins upper engine gasket set includes all gaskets, seals, o-rings, etc required when rebuilding the cylinder heads on your 2011-2012 Dodge Cummins 6.7L diesel truck. 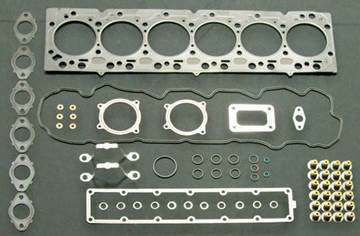 This Cummins upper engine gasket set includes all gaskets, seals, o-rings, etc required when rebuilding the cylinder heads on your 2003-2007 Dodge Cummins 5.9L Common Rail diesel truck. 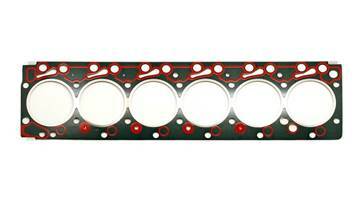 Multi-layer steel head gaskets are size graded which eliminates the need for piston grading. This is a genuine OEM replacement head gasket for your 2007-2018 Dodge Cummins 6.7L pickup. A direct OEM replacement upper engine head gasket kit for your 2013-2017 Dodge Cummins 6.7L diesel truck. The Best Solution for your 6.0L Ford Powerstroke diesel. This kit includes everything needed to fix all the major problems with the 6.0L Powerstroke engines with 18mm dowels. No more stretched bolts, blown head gaskets, white smoke from the EGR cooler, or defective EGR valves. The Best Solution for your 6.0L Ford Powerstroke diesel. 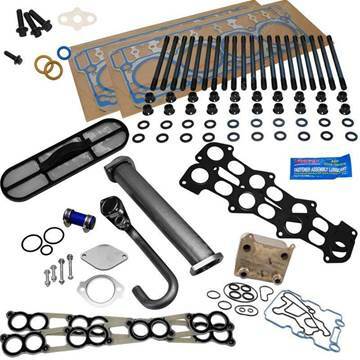 This kit includes everything needed to fix all the major problems with the 6.0L Powerstroke engines with 20mm dowels. No more stretched bolts, blown head gaskets, white smoke from the EGR cooler, or defective EGR valves. This is a brand new genuine OEM Cummins cylinder head gasket for 1994-1998 Dodge Cummins 12V motors. 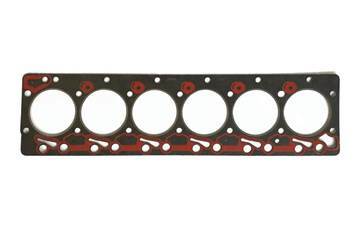 This is a brand new genuine OEM Cummins cylinder head gasket for 1998.5-2002 Dodge Cummins 5.9L 24V motors. This is a brand new genuine OEM Cummins cylinder head gasket for 2003-2007 Dodge Cummins 5.9L 24V motors.